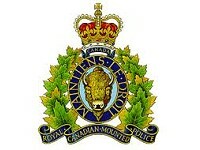 On November 10, 2016, just before 7:00 am, Swan River RCMP responded to a report of a male lying in the middle of Highway 10 north of Mafeking, Manitoba. When officers arrived on scene, the male was being attended to by local emergency services. His injuries appeared consistent with being hit by a vehicle. The 23-year-old male from Dawson Bay, Manitoba was pronounced deceased on scene. A Forensic Collision Reconstructionist and the RCMP Criminal Crash Investigative Team are assisting with the ongoing investigation. Anyone with information is asked to contact Swan River RCMP at 204-734-4686 or call Manitoba Crime Stoppers anonymously at 1-800-222-8477, submit a secure tip online at www.manitobacrimestoppers.com or text “TIPMAN” plus your message to CRIMES (274637).